October 2015. Kiev, Ukraine. Three female soldiers (not combatants but bureaucrats) stand at a “pro-volunteer soldier” demonstration near Maidan Square. 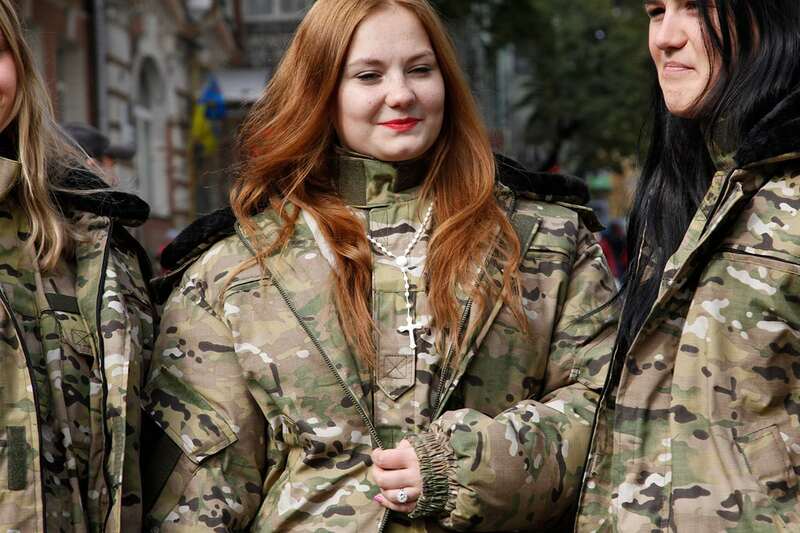 The concept of female soldiers is controversial in Ukraine due to old-fashion gender roles and the general attitude that war is “men’s business”. It was illegal for women to engage in combat in Ukraine until June 2016, so most of those who I photographed were forced to join illegal volunteer battalions linked to the far right. Regardless of technicalities — the status of the war, who started it, the deeply personal reasons behind choosing a side, or corruption in the army — both sides are caught in a state of turmoil. There is no clear end in sight but there are some brave women there, often standing alone in a sea of men, fighting for their territory. October 2015. Gorlovka, Ukraine. 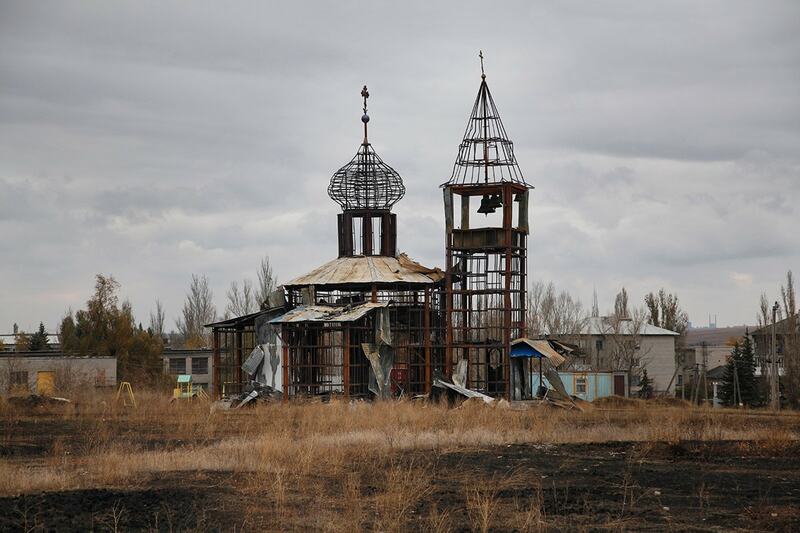 This is a shelled out church on the pro-Russian side of the Ukraine conflict. July 2015. Cherkaske,Ukraine. 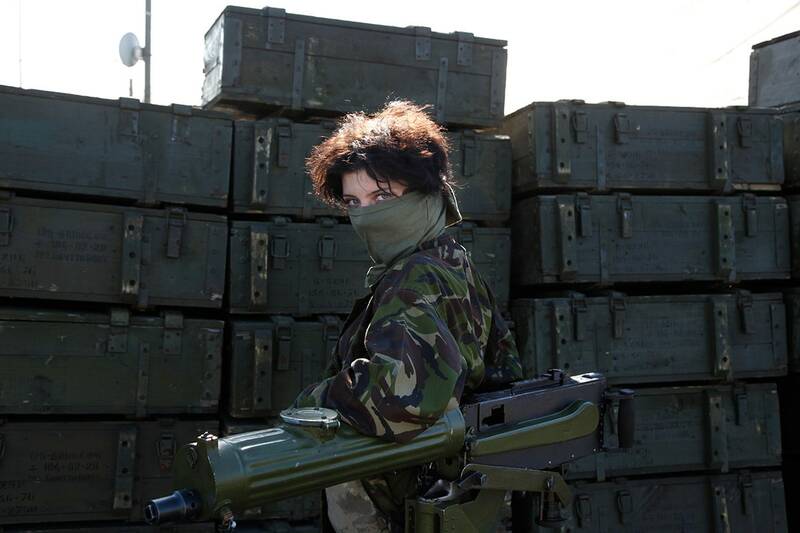 A female soldier belonging to Donbas Ukraine Battalion stands with a Maxim gun in the arms hold. Being “female” is the antithesis of war, and many may be disgraced for doing society’s definition of “unwomanly” work. In a country where women are famous for being beautiful, female soldiers are forced to be male. They take different shapes and forms, they wear different insignias, they choose different sides — but their experiences are all very similar. Due to the misrepresentation women face in the media, I believe they deserve some attention. Some of our biggest historical guides are films, and how many have you seen where a woman is cast only to serve as a love interest for male soldiers? How can photography challenge perceptions of what it is to be a "woman"? July 2015. Cherkaske, Ukraine. 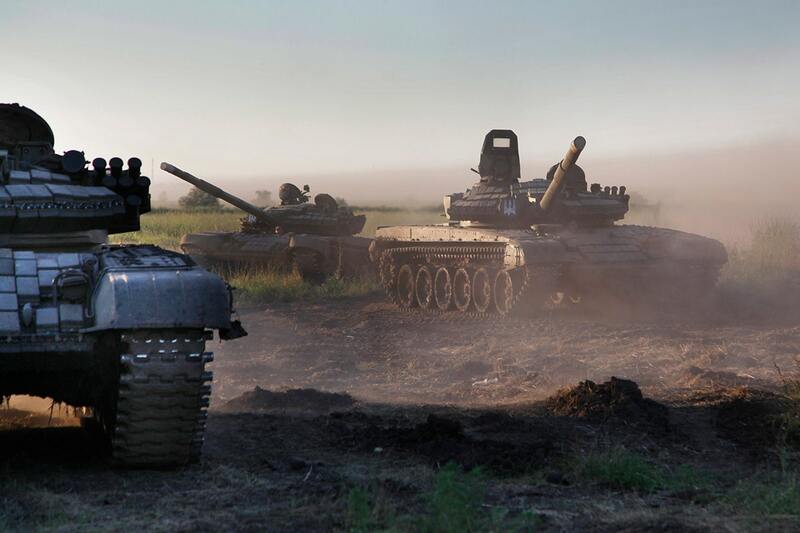 Armoured vehicles roll through a field outside of Dnipro, Ukraine. July 2015. Donetsk Region, Ukraine. 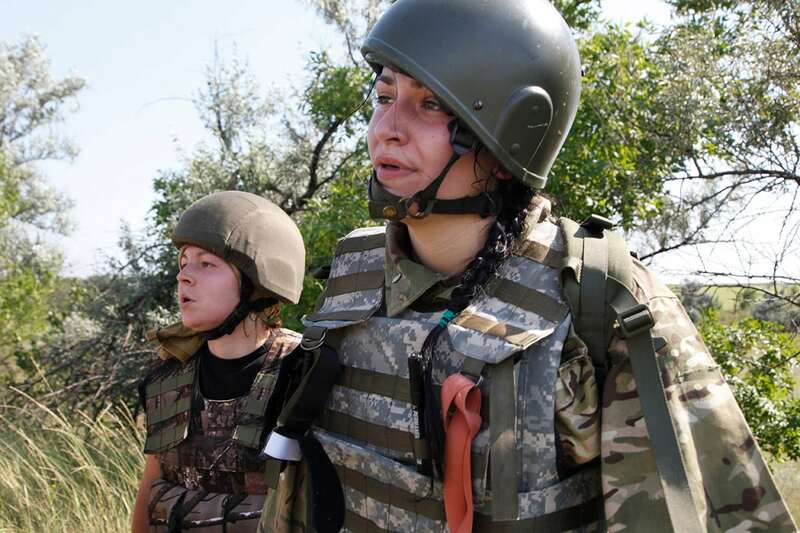 Two female soldiers trudge through hard mid-day sun in Donetsk Region during a first-aid training. 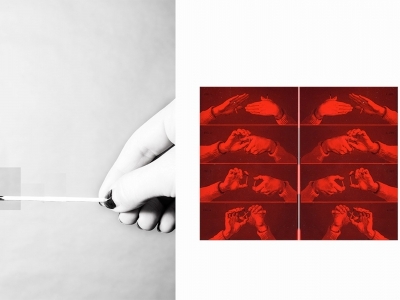 Jen Osborne (1984) is a Canadian photographer whose work has been published and exhibited internationally. Her career started in 2007 with a yearlong work contract at Fabrica, the United COLORS of Benetton Research Centre. She has an interest in portraying people who feel the need to escape and has produced various independent projects around that theme. 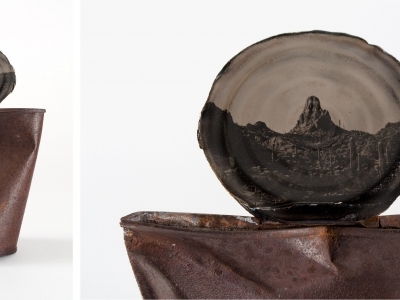 Jen has exhibited at various venues including: Visa pour l’Image 2016, Arles 2010, Aperture Gallery, The Museum de l’Elysée, the Denver Biennial, Somerset House, The Old Church and Studio La Citta. 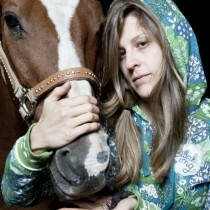 She has many interests outside of photography as well, such as horseback riding, avant-garde piano and martial arts.